Be a role model, show the positive skills and attributes that you have developed as a result of participating in the Arts. Make sure to tell people how the Arts have helped you become a creative, well rounded, confident individual. Speak with your teachers and advisors in the Arts about opportunities to promote the positive attributes of the Arts. Ask them what you can do to partner with them to raise the profile of the importance of the Arts. Talk to your PTO and other school committees about providing funding for your Arts programs to strengthen and expand them. 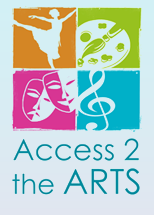 Talk with the Administration of your school and your School Board about the plans they have to support the Arts. Make sure they really understand how important they are, and how they prepare you and your peers to be successful citizens in a truly global world. Talk to the members of your town’s government about their plans to support the Arts in your town. Offer suggestions like Dance Clinics, Little Theater programs, etc..
Talk with local organizations such as Kiwanis and Rotary about how they can support the Arts in your town and help kids like you experience them. Talk with your State Representatives and see what they are doing to support funding for the Arts. Influence them to provide more support for the Arts. You can find your elected officials to contact here. Give performances at local hospitals, nursing homes and/or other facilities such as Ronald McDonald House. Participate in local programs such as Little Theater, Community Summer Recreation, etc.. by using your dancing, singing, acting, drawing, etc… skills to help other children experience the Arts. Consider helping less fortunate schools or Boys and Girls Clubs to start a program. Get your friends involved and doing activities in their “little part of the world”. Visit Dance schools and ask them to participate by placing a collection bin in their school to collect gently used shoes and clothes. Ask Arts Programs to partner with you. Ask the companies that run the competitions you attend to have collection bins at their events and ask the schools and dancers attending to bring their old shoes and clothes to donate. Ask Dance Companies to partner in offering programs where you can help provide shoes and help provide the classes. Ask Stores and Companies involved in the Arts to partner with you. Ask local stores to put collection bins in their stores. Ask them to offer programs like discount coupons if dancers donate their old shoes when buying new. Ask for donation of goods like shoes, instruments, art supplies and anything that can either help start a new program or support a struggling program. Plan and conduct fund raising activities; Offer scholarships in singing, acting, dance, drawing, etc.